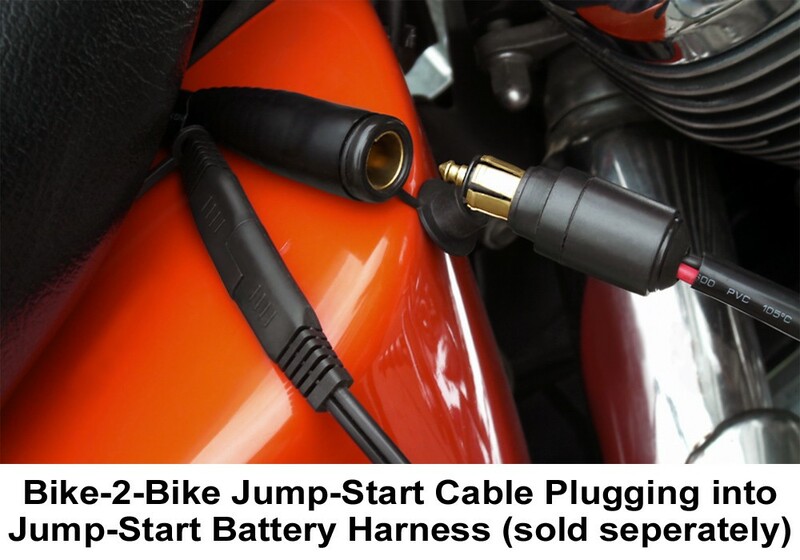 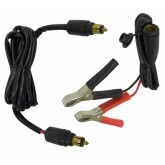 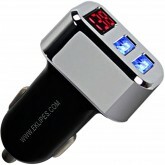 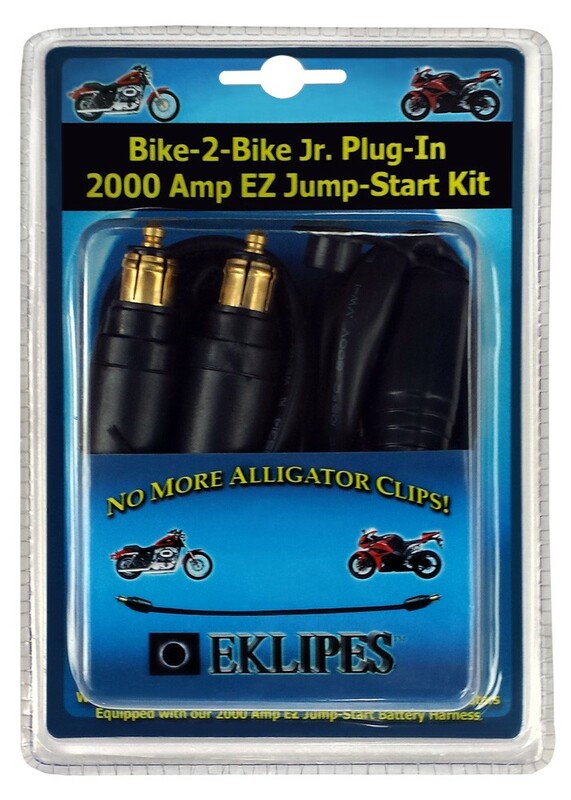 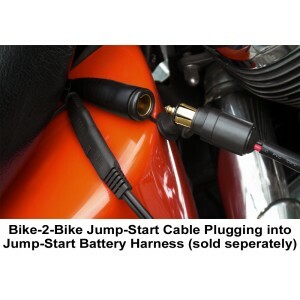 Our NEW EKLIPES™ Patented Design EK1-125 Bike-2-Bike Jr. Plug-In 2000 Amp EZ Jump-Start Kit is the perfect accessory item for our Cobra Series (EK1-110/B/BC) and Viper (EK1-109)! 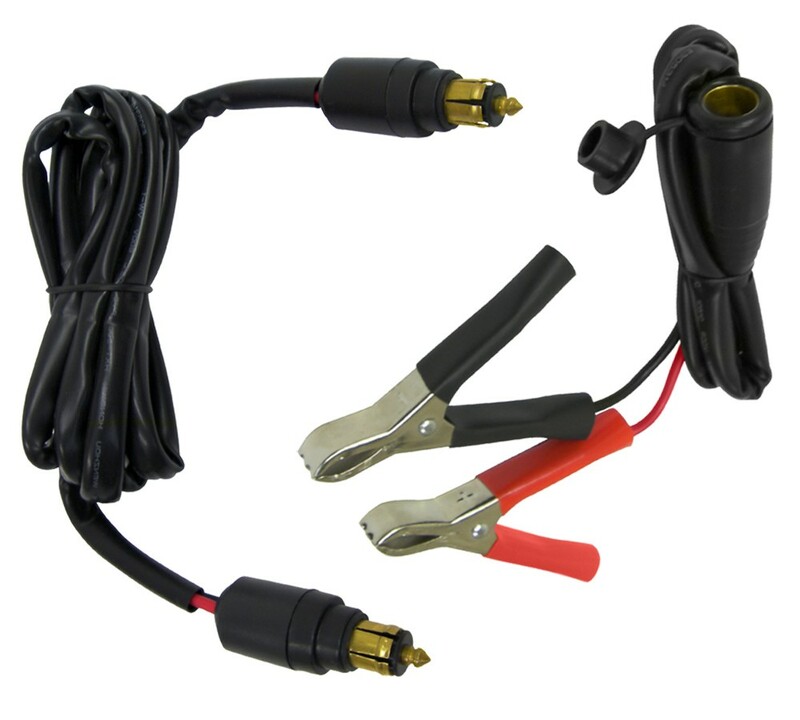 Also included is our 2’3” Battery Terminal Alligator Clips with a Female DIMS BMW Plug (Just in-case the other vehicle does not have an EKLIPES™ EK1-153 Battery Harness). 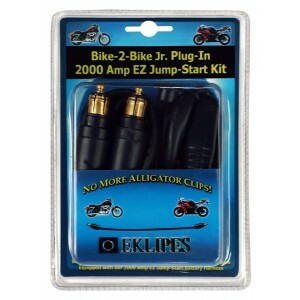 Water-proof Caps included.